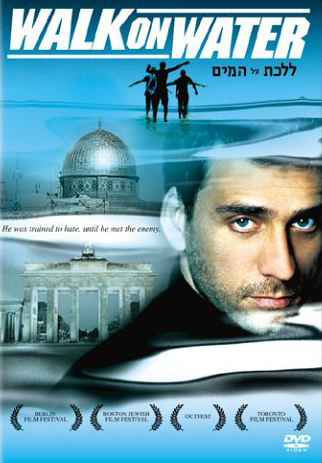 Please join us this Wednesday for a screening of Walk on Water, followed by a discussion of its relevance to the recent observance of Holocaust Remembrance Day and the upcoming Israeli Independence Day. Speakers of all levels are invited to attend. Light refreshments will be served. Eyal, an Israeli Mossad agent, is given the mission to track down and kill the very old Alfred Himmelman, an ex-Nazi officer, who might still be alive. Pretending to be a tourist guide, he befriends his grandson Axel, in Israel to visit his sister Pia. The two men set out on a tour of the country during which, Axel challenges Eyal’s values. Please join us next week, 4/13, for the first Hebrew Circle of spring quarter. Nadav Arviv will discuss a very interesting topic: Facebook in Hebrew. Please join us as Israeli composer Iddo Aharony will speak of his music, with a focus on the new opera he is composing, in Hebrew, that will be premiered in June 2011 in Jerusalem. Iddo Aharony’s diverse body of work includes pieces for different ensembles and solo instruments, along with compositions for contemporary dance and various theater and multimedia projects. Iddo’s acoustic and electronic music has been performed by various ensembles, including string orchestras and choirs, in the United States, France, Britain and Israel, and presented at festivals such as SEAMUS and NYCEMF. A native of Tel Aviv, Israel, he is currently pursuing a Ph.D. degree in Music Composition at the University of Chicago. Please join us as Sara Hirschhorn discusses her dissertation research on Jewish-American immigrants and the Israeli settler movement. Sara Hirschhorn is a doctoral candidate in the Dept. of History at the University of Chicago, where her research focuses on the history of Zionism, Israel, and the Arab-Israeli conflict. Her dissertation is entitled “City on a Hilltop: The Participation of Jewish-American Immigrants Within the Israeli Settler Movement, 1967-1987. Please join us for a discussion on “The effect of Arabic words borrowed by Hebrew speakers on the Modern Hebrew vocabulary and structure,” led by Yaron McNabb. Yaron McNabb is a fifth year Ph.D. student in the Department of Linguistics at the University of Chicago. He is interested in issues in syntax, semantics, pragmatics, and their interface. In his dissertation he will be exploring the form, structure, and meaning of degree expressions in various languages, and especially how grammatical aspects of these expressions interact with contextual information. His other research projects include experimental investigations of resumptive pronouns in Hebrew, the boundary between truth-conditional meaning and pragmatic meaning in English, as well as the sound structure of French loanwords in Moroccan Arabic. Please join us for our first meeting of the Winter 2011 quarter! 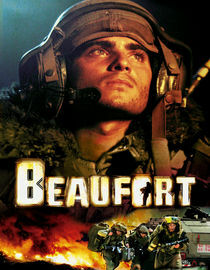 In the final days of the Israeli occupation of Lebanon, a band of soldiers prepares for the evacuation of a mountain stronghold called Beaufort. Their leader is 22-year-old Liberti (Oshri Cohen), whose strict adherence to the rules puts the men in harm’s way. As the evacuation draws near, Hezbollah steps up its attack, testing Liberti’s mettle and the men’s allegiance to him. Eli Altonio co-stars in director Joseph Cedar’s Oscar-nominated film.